Johnny K. Richardson has assumed his duties as the general counsel for the Missouri Association of Osteopathic Physicians and Surgeons (“MAOPS”). Since 1897, MAOPS has been the professional organization for the osteopathic physicians in Missouri. MAOPS recently held its annual convention at the Lodge of Four Seasons at the Lake of the Ozarks. At the convention, Mr. Richardson presented a continuing medical education seminar on the Legal Perspective of Pain Management and BNDD Recordkeeping. The seminar addressed topics that included the Intractable Pain Act, guidelines for evaluating the use of controlled substances for pain control, charting, and issues pertaining to what constitutes a legal and legitimate prescription. Johnny Richardson practices in a wide variety of subject areas, including general civil litigation and trial and appellate work for clients. He is a former General Counsel for the State Board of Registration for the Healing Arts. 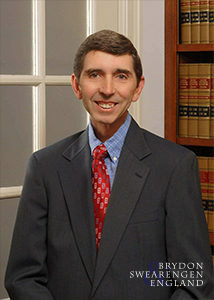 He frequently represents physicians and other professionals in licensure and disciplinary proceedings before the Administrative Hearing Commission and the numerous professional licensing boards in Missouri, including the State Board of Registration for the Healing Arts, the Bureau of Narcotics and Dangerous Drugs, the Drug Enforcement Administration, the State Board of Pharmacy, the State Dental Board, the State Board of Nursing, the State Committee of Psychologists, the Department of Social Services, Division of Medical Services, the Missouri Department of Mental Health and the Missouri Board for Architects, Professional Engineers and Professional Land Surveyors.